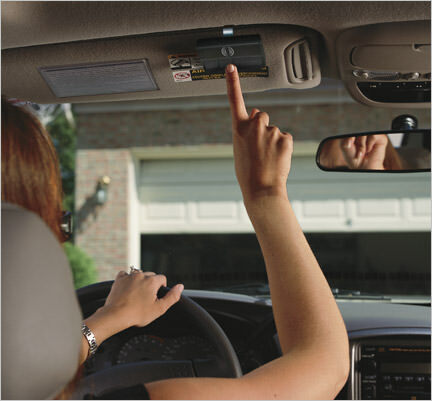 If you’re seeking a residential garage door opener in Houston, we have both LiftMaster® and Genie garage door openers for you to choose from. These are the top brands when it comes to garage door openers, so you know you will be getting a quality product every time. We can offer and install belt drive, chain drive or screw drive openers. With these garage door openers, you’ll enjoy the convenience of smooth, easy, quiet garage door opening and closing every time. With MyQ® technology, you can even enjoy the convenience and safety of being able to open and close your garage door through a mobile device anywhere you have a Wi-Fi connection. Glass and full view doors like the AVANTE™ Collection from Clopay offer a great, modern take on the garage door, with an aluminum frame and customizable glass panels that allow you to control exactly how much privacy and light you allow into and out of your garage. If you have a more traditional home, you may be interested in exploring one of our carriage house-style doors, like something from the Clopay COACHMAN® Collection. These are beautiful doors that look like Old-World swing-out doors but have the convenience of modern overhead operation to give you the best of both worlds. For some, the natural wood look is an absolute must when it comes to your garage door. We have plenty of options for you to choose from. If you must have natural wood through and through, we can offer you options like the Clopay Limited Edition Reserve Series Collection, beautiful, handcrafted doors built to last. If you prefer the lower maintenance of steel, we’re happy to offer you composite doors with steel cores and wood cladding, or steel, fiberglass or aluminum doors with Clopay’s Ultra-Grain® wood finish, which is nearly indistinguishable from actual wood by look and feel. When you live in Texas, hurricanes and heavy wind storms can be a real concern. 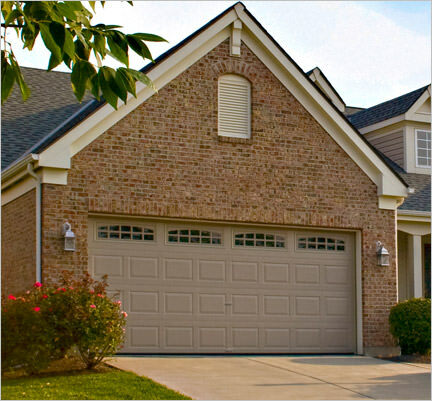 We offer WindCode-rated, hurricane-resistant doors to protect your garage in the case of severe weather conditions. Many of the doors we offer can be installed with insulation, including a number of Clopay doors that sandwich a polystyrene foam-insulated core within layers of steel. These doors can not only save you a tremendous amount on energy costs by helping to prevent heat from escaping your home in the winter and from getting in in the summer, but they can also make your door more durable and impact-resistant. Another popular service we offer is converting a two-door garage into a one-door garage. You don’t necessarily need two doors for your two-car garage, and turning it into one door can give your garage door a cleaner look and give you added convenience. For more information about any of our residential products, contact Halo Garage Doors today.